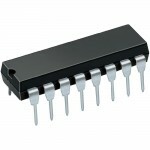 Purchase online AD623 instrumentation amplifier in India at low price from DNA Technology,Nashik. The AD623 is an integrated, single- or dual-supply instrumentation amplifier that delivers rail-to-rail output swing using supply voltages from 3 V to 12 V. The superior accuracy of the AD623 is the result of increasing ac common-mode rejection ratio (CMRR) coincident with increasing gain; line noise harmonics are rejected due to constant CMRR up to 200 Hz. The AD623 has a wide input common-mode range and amplifies signals with common mode voltages as low as 150 mV below ground. The AD623 offers superior user flexibility by allowing single gain set resistor programming and by conforming to the 8-lead industry standard pinout configuration. With no external resistor, the AD623 Instrumentation Amplifier is configured for unity gain (G = 1), and with an external resistor, the AD623 can be programmed for gains of up to 1000. The AD623 maintains superior performance with dual and single polarity power supplies. 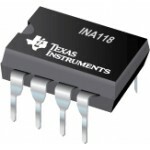 INA118 Precision, Low Power INSTRUMENTATION AMPLIFIER. 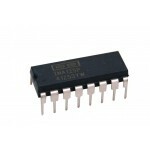 The INA118 is a low power, general ..
INA125 INSTRUMENTATION AMPLIFIER With Precision Voltage Reference. 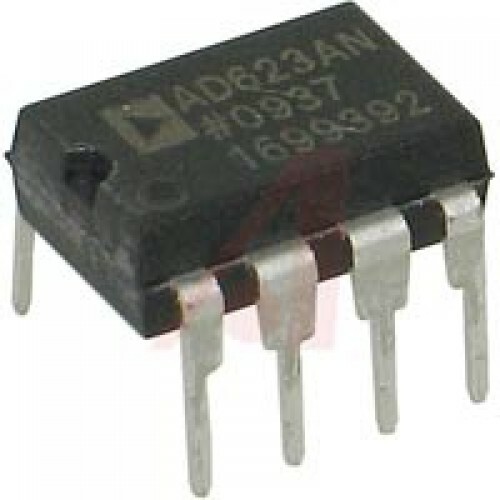 The INA125 is a low pow..
AD620 Instrumentation AmplifierThe AD620 is a low cost, high accuracy instrumentation amplifier..
AD526 Gain AmplifierThe AD526 is a single-ended, monolithic software programmable gain amplifier (SP..